At World Walking we’re always on the lookout for ideas for new walks. For a while now we’ve had the idea of a creating a walk from Scotland to Malawi at the back of our minds but never quite got round to it. But thanks to an approach from Ailie Grant, class teacher at Kilmacolm Primary School, and help from Emily Mnyayi, Youth and Schools Officer, at the Scotland Malawi Partnership in Edinburgh, we’re delighted to say we’ve got round to it in time to help get 2017 off on the right foot. Scotland's connections with Malawi began with Scottish missionary and explorer, David Livingstone, over 150 years ago. Today, through the Scotland Malawi Partnership, over 200 Scottish schools have active links with schools in Malawi or learn about Malawi as part of their curriculum. Kilmacolm Primary School is one of them and in Autumn 2016 Ailie and her young world walkers at the school decided to take on the Daily Mile Challenge to help them reach the their sister school in Phinda in Malawi. The School will also be feeding their miles into the Inverclyde Million Miles Challenge which uses World Walking to log all distances. Ailie’s approach was exactly the push we needed to get cracking. 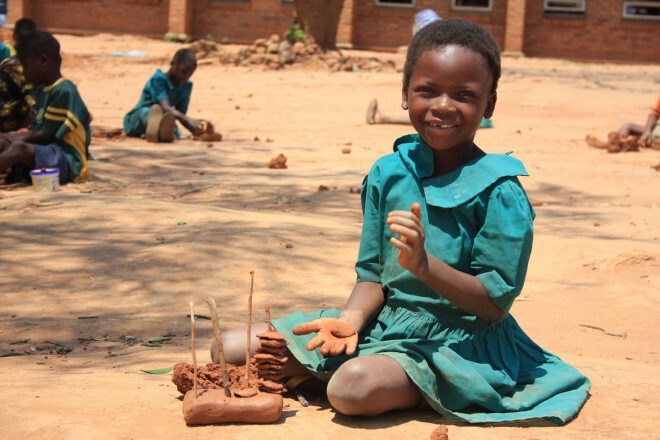 We were delighted when Emily liked the idea and kindly shared some Scottish Malawi Partnership images for us to use to help us create the walk. Good luck Kilmacolm Primary School and thanks Ailie and Emily for helping make this happen. If you have an idea for a new route which you'd like to consider please don't hesitate to get in touch. We’d love to hear from you.